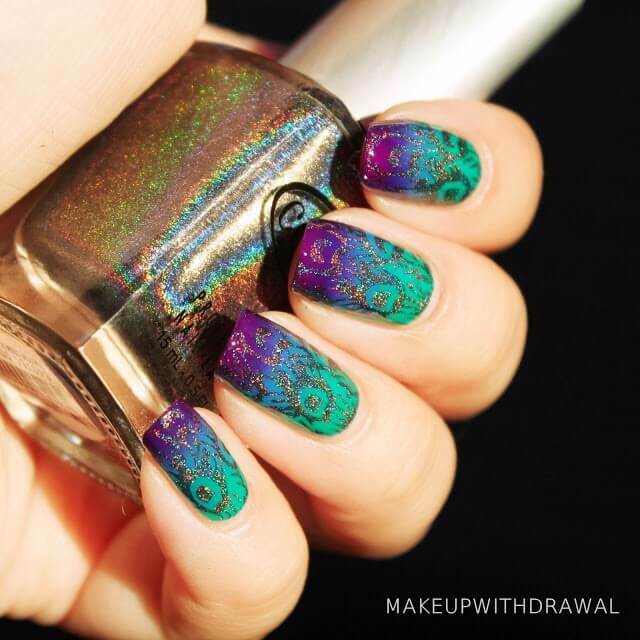 @makeupwithdrawal used purple, blue & green polish to create a gradient effect for this peacock nail design. Then she stamped over it with gold glitter polish using a feather stamping plate. So gorgeous!